Saturday 24th and Sunday 25th November saw the 2012 running show at Sandown Park and having registered for free entry myself and Gareth decided to visit on the Sunday. 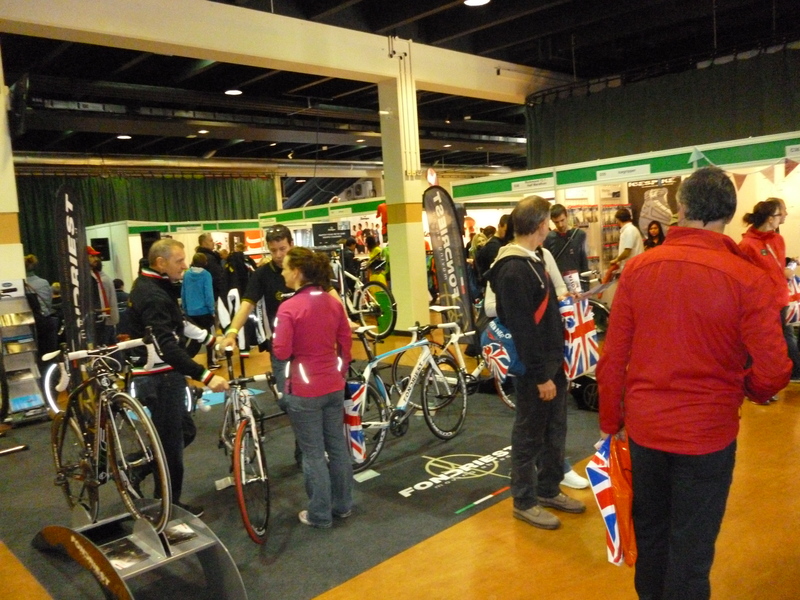 The show was a great place for exhibitors from all areas of running to come and talk about their brand/website/events company etc, promoting new products. We made a point of getting there early on the Sunday as the organisers had emailed in advance advising that the first 1500 attendees on each day would get a goody bag, not one to pass up a freebie we made sure we would be in a position to get one. 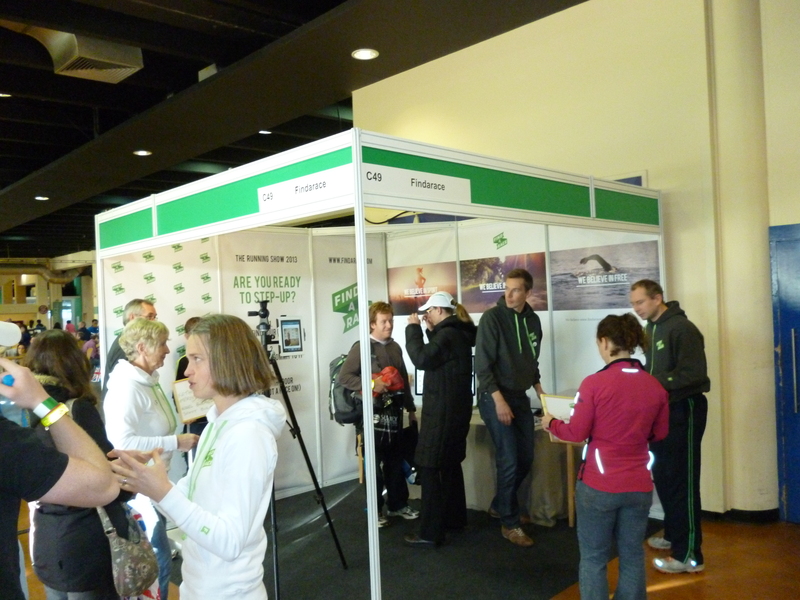 After collecting the goodie bag (which incidentally was ok but not great, a couple of nutrition samples accompanied by a lot of leaflets) we got chatting to the guys manning the Find a Race stand (www.findarace.com). Find a Race is a new website with the aim of being a one stop shop for searching for all manner of races, not just running. 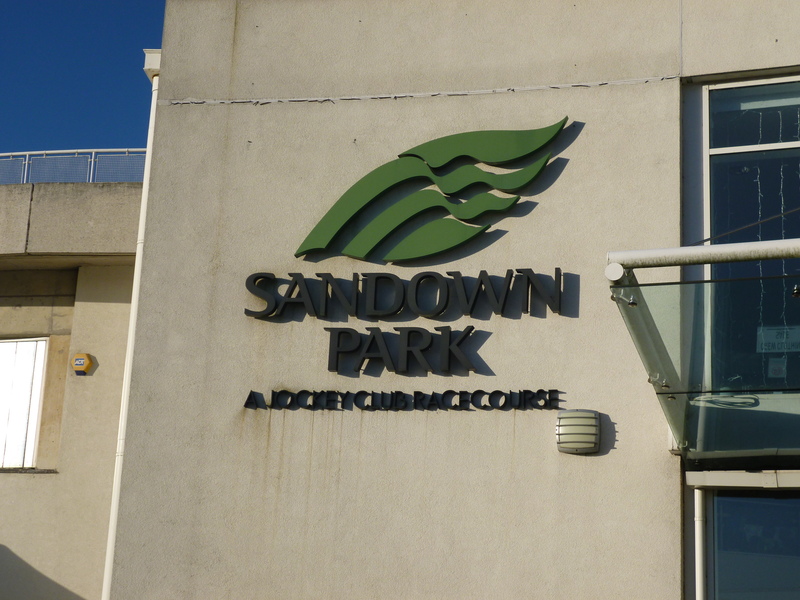 It’s fairly new but the team are working hard to get more and more events listed. You can search for activity type, location, date range and I really like the idea of a website that consolidates all different races into one place. While chatting to them they asked if Gareth and I wanted to “Step Up” and commit to a challenge for 2012. With my challenges already set for 2013 I committed to a time on the 100 miles, my “Step Up” is to run the NDW100 in under 24 hours. Having decided this I had to write the challenge on a white board and step on a podium to have my photo taken. 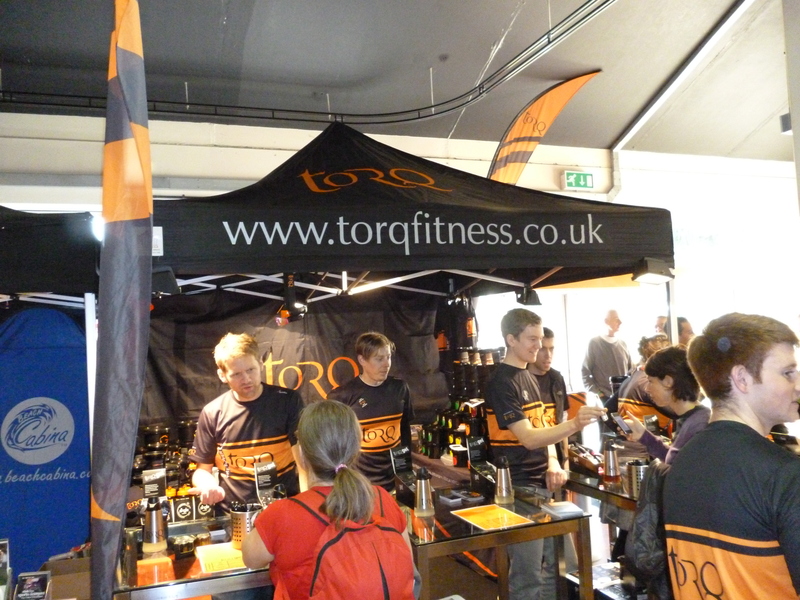 Opposite the Find a Race stand was the Torq stand, those that have read other posts in my blog will know that I am partial to the Rhubarb and Custard Torq gels and seeing that they had free samples we headed over. 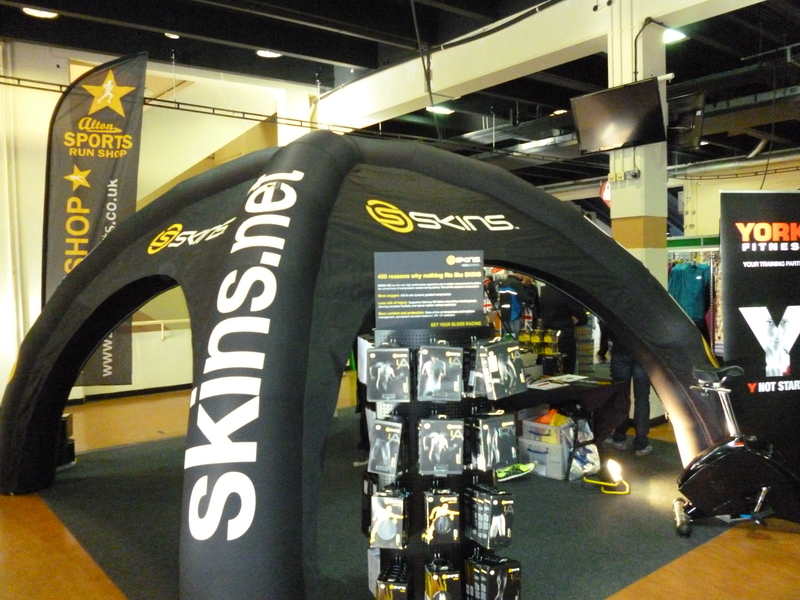 One of the guys on the stand had a chat with us and offered us a sample of the new recovery powder that they are doing. I tried the Chocolate Mint flavour, which was quite tasty although a sample to take away would have been more useful as I could have tried it after a training run. Gareth wanted to get a massage so he went and booked that and we had a wander around while we waited, where we happened upon the Runners World stand who were offering a frankly unbelievable deal. 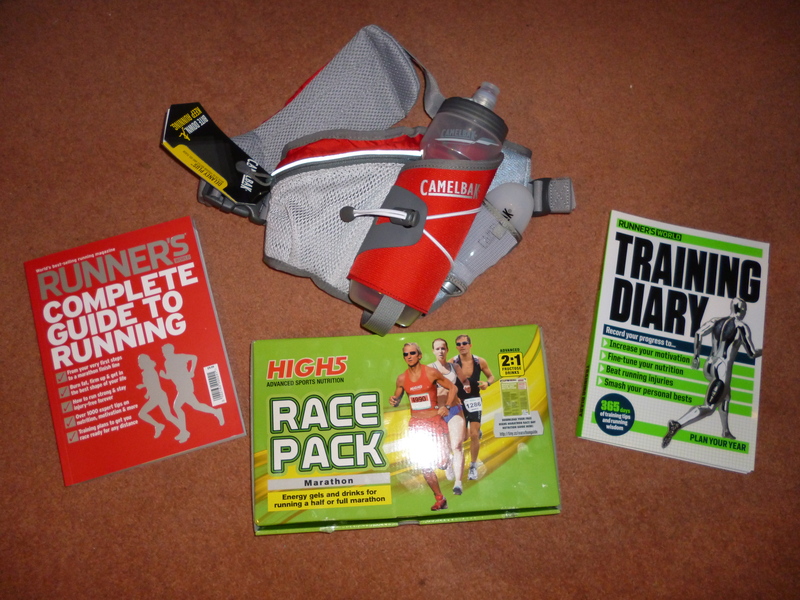 For £15.00 every 6 months for a subscription to the magazine, they were offering a goody bag filled with around £70.00 of running goodies. It was a no brainer and both Gareth and I signed up. 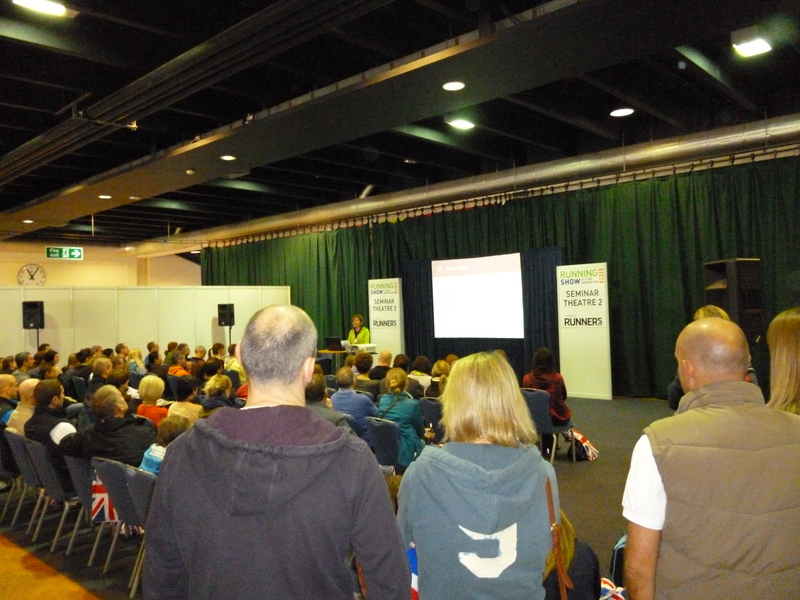 Gareth went for his massage and I sat and listened to one of the seminars, once he was done we had more of a wander around and when fully satisfied we had seen everything headed home. Below are some more pictures that I snapped while wandering around.